I still perfectly remember the 20th July 2014, a sunday that really deserved its name. After I had watched my country becoming World Champion for the fourth time, I decided to spent my summer vacation in Sweden – in Lund to be precise. 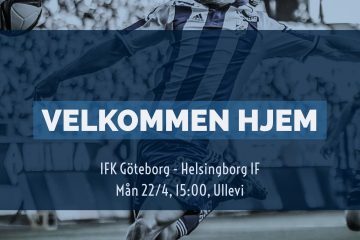 From there I only needed to master a three hour train ride to Göteborg in order to fulfill a long-cherished wish of mine: watching an IFK-match live in Gamla Ullevi. Unfortunately, I didn’t make it quite in time for kick-off. My train was delayed, therefore I missed the first 20 minutes of the game. 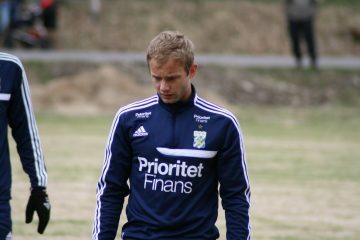 But that didn’t hurt too much, since nothing really had happened and I still witnessed Blåvitt taking the lead just moments before half-time: Lasse Vibe scored after a dead ball situation just in front of the stand where I was celebrating by myself. What actually hurt was that I waited way too long to attend the stadium toilets during the break, the teams already coming back to the pitch. When I finally went for it, I was only away for a couple of minutes, but still managed to miss two goals. First, visitors Mjällby equalized from the spot after a Adam Johansson handball.Then, just 21 seconds after play had restarted, our Danish number 29 struck again and restored our lead with a left-footed shot form outside the box. The guy really had the nerves to score while I was still taking a piss. I only heard the noise of the crowd and really hated me for my stupidness. Lesson learned. 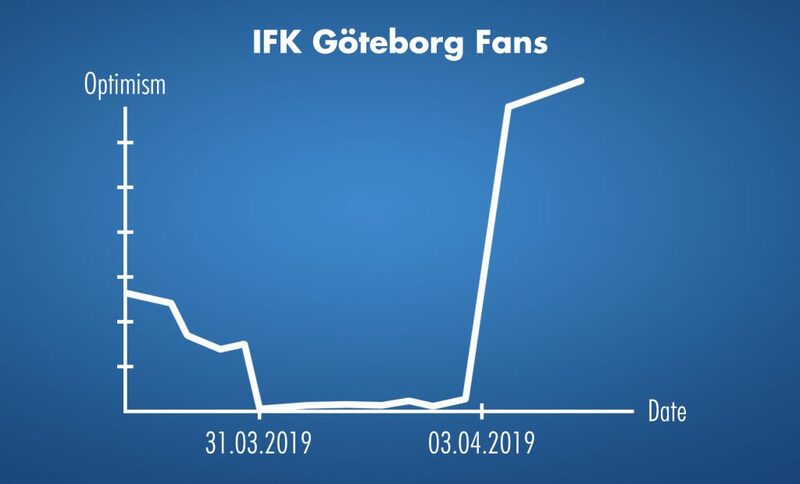 Good for me and my self-esteem, that Vibe later went on to complete his hattrick, this time with a nicely placed header that sealed the victory for IFK. It was his 12th goal of the season already. A tally that he would extend to 24 by the end of the season, becoming our first golden boot winner since Tobbe shared honors with Wanderson in 2009. 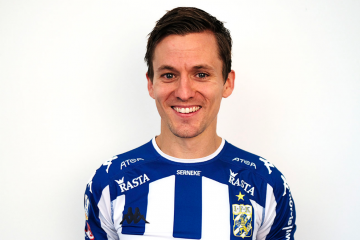 So, that was the day Lasse Vibe won a special place in my heart by scoring a hattrick on my Allsvenskan-debut (even though I only saw two third of his work). When I returned to Germany and started kicking a ball around again, I even imitated his goal celebration. The charismatic man from „the country between Germany and Sweden“ left exactly one year after that crucial day in July (369 days to be exactly) for English side Brentford. After another spell in China, he’s now back in Blue and White, carrying the hopes of all supporters (including mine) on his shoulders, since the team started horribly into the new campaign. This is what it feels like when you open twitter at the moment. When I read the news, I immediately remembered these three goals from 2014 (yes, I’ve watched the highlights from that match a dozen times since then, especially the 2:1), because they’re a good example of his strengths: Quickness, great agility, great positioning, good with both feet and decent with his head for the smaller striker he is. I’m curious to find out whatelse he has learned and how he improved during his four years away from home. And I hope that people don’t put too much pressure on him, cause there is still quite a journey ahead of this young team. Nevertheless, I’m looking way more optimistic into the near future. Goals will be coming. I may not be able to see all of them, but that’s okay. I don’t blame Lasse for that.